Not this time. 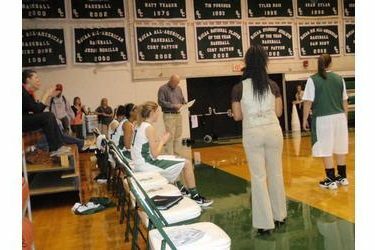 After losing at home to South Plains 75-63 last year and 69-54 during the 2007-08 season, Seward wanted to snap the two game home losing skid to the Lady Texans. They broke the streak in a snap building a 25-4 lead in route to a 74-44 win over the South Plains Lady Texans (1-3) Friday night in the Green House. Seward led 35-16 at halftime. Ashlynn Knoll scored 16 while Mariah Lee added 14 points and eight rebounds. Ricquia Jones scored 12 and Anete Kirsteine dropped in 10. The Lady Saints forced 25 turnovers and held SPC to 33 percent shooting. Seward didn’t have a great shooting night (39%) but it didn’t matter. The Lady Saints are 6-0 and host Frank Phillips (2-3) Saturday night in the Green House for the Billy’s/Days Inn Classic. Number three Hutch beat the Lady Plainsmen 101-67 Friday afternoon in the Green House.